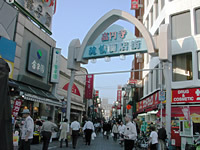 Except the area around Koenji station, Koenji is known as a quiet residential area. There are many detached houses and apartments in the area, therefore, Koenji is prefered by people who like to live alone. The event is held at the street in front of Koenji station in August. The event is getting famous, and paticipants of the event are increasing every year. 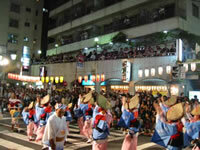 During the event the tune for awaodori is used at the platform of Koenji station.